Consumers and b Sabic PP FPC70 redrand owners are demanding a lot from packaging. 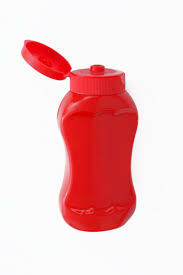 Today’s fast-paced lifestyles drive demand for prepacked food including hot-filled packaging cups and bottles that may also be microwavable. Consumer expectations also include packaging that is robust, easy to open and distinctively shaped with vibrant graphics. What’s more, these challenges need to meet regulatory requirements while lowering weight and cost by reducing packaging thickness with down gauging, faster production cycle times, and minimizing waste and the environmental impact. Sabic (Riyadh, Saudi Arabia) is helping customers in packaging industry to meet these many challenges by extending its FLOWPACT impact copolymers family with a new Sabic PP FPC70 polypropylene for rigid packaging. 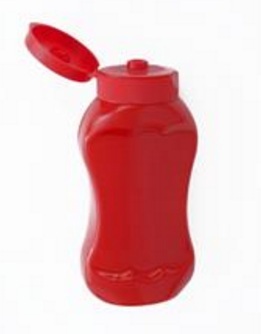 This high flow (MFR 70) impact copolymer grade based on a phthalate free catalyst is an injection-molding grade developed for applications such as containers, caps and closures in rigid packaging and for consumer goods. Plastics and packaging play leading roles at Plastec East and EastPack, which are part of New York City Advanced Design & Manufacturing held June 13-15. The event hosts six industry shows on one expo floor. For more information, visit ADM Toronto website . “Our new FLOWPACT grade Sabic PP FPC70 is a part of the new wave of products from Sabic for rigid packaging—and for other segments as well,” says Lada Kurelec, Global Business Director PP for Petrochemicals at Sabic. “We believe Sabic PP FPC70 answers the continuing trends in thin wall packaging by enabling up to 10% thinner walls and fast injection, thus reducing energy consumption and increasing productivity , not only help our packaging customer save on material cost but also production costs,” Kurelec explains. Sabic PP FPC70 is a new addition to the recently introduced FLOWPACT grades FPC45 (MFR 45) and FPC100 (MFR 100). Rigid packaging made with Sabic PP FPC70 polymer, including applications that can be filled with hot content, has considerably higher top-load strength than identical products made with current benchmark materials. This in turn improves stackability, providing better economics in transport and storage. Sabic PP FPC70 incorporates important advances in polymer chemistry that yield a material with a great balance between high stiffness, impact strength and high heat distortion temperature than a standard impact copolymer. Sabic PP FPC70 can be used for containers intended for packaging foods and non-food products, caps and closures, as well as for production of housewares.